Amazon Gift Cards for Holidays and Birthdays: Tacky or Terrific? Nancy asks a question that comes up to many of us during the giving season. Many people love receiving gifts cards for Christmas or their birthday because then they can buy exactly what they want. Others do not appreciate a gift card and think that it’s no only lazy on your behalf to give a gift card but entirely insensitive and thoughtless. What do we say? It depends; it’s contextual. A Gift Card for Your Girlfriend: Maybe Not? Let’s say that you and your girlfriend have been going out for about a year and it’s your first anniversary together. You know that she’s very excited and you have a premonition that she is expecting you to get her some jewelery. However, because you do not know what to get her and are unsure of her tastes, you get her a gift card to a jewelry store so that she can buy exactly what she wants. Right move or wrong move? Obviously, this is the wrong move. Your girlfriend wants a romantic gesture and a gift card, no matter where it’s a gift card to, is not, in any way shape or form, a romantic gesture. However, as we said, it’s contextual. Imagine the exact same scenario above but your girlfriend is an engineer and you know she wants a robust, new tablet. Also, she’s quite aware that you are technically inept. So, would giving her a gift card be appropriate? It certainly might be the perfect gift because: (1) She is not expecting a sweeping romantic gift-she wants a tablet and (2) She wants a specific tablet with certain technical specifications and you are ill-equipped to get the exact one she wants. Stereotypes exist for a reason: they are generally true. In the first scenario above, the woman would abhor getting a gift certificate for your first holiday together. She might even just run out the door! However, would the same be true of the boyfriend? Generally, men are more welcoming of gift cards than a woman would be. Most men, when receiving a gift a gift card for the Holidays, will be ecstatic. This allows them to go search and find the exact thing that they want for themselves. In fact, many men that I know not only like gift cards for the Holidays or their birthdays, but actually prefer them. So, if you are in doubt, favor giving gift cards to a man instead of woman. This is a general rule but your circumstances may be different. 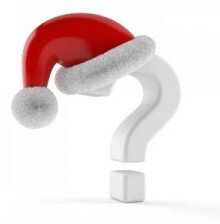 Then, we have the question of what type of gift card to give and how will it be presented? My girlfriend is not the type who receives a gift card gracefully. Fortunately, she did not throw down with my sister but a gift card was not the right choice in this circumstance. My sister did not “consider the audience” very well. I, on the other, was not disappointed that we received a gift card as a present. I was upset at the type of gift card that it was. It was a gift card to a restaurant (that’s not good to start with) and, even worse, a restaurant-type that we did not even like. My sister’s a vegan and it was a gift card to a vegan restaurant: really? You must get gift cards that offer ample supply and are presented well. For example, the gift card featured in the photo above is an Amazon gift card AND comes in nice holiday-type presentation. This is good for two reasons: (1) On Amazon, you can literally buy anything so it’s a gift that fits all (as opposed to a Vegan restaurant) and (2) It’s presented very nicely as opposed to simply handing over some type of silly credit gift card with no meaning behind it. I think by now you realize what is most important if you are considering giving a gift card for the Holidays: that is, the recipient of the gift card. Consider them first and foremost. If you determine that giving a gift card is a good idea, you may want to include a little something special with it: A nice hand-written note, flowers, a little special something on the side? The reason for this is that giving a gift card is easy. Many people want to know that you “put something into your gift giving” and a gift card does not necessarily say that if it is not accompanied by some other type of gesture. And, finally, do not give a gift-card that is too specific. (Oh gee, thanks for that TGIF gift card!) You should probably consider giving a gift card to a place like Amazon where the buyer can find exactly what they want. And, make it occasion specific so that it conveys the thought. Below, I have placed to links to both Birthday Gift Cards and Christmas Gift Cards. Here are many great Holiday gift cards from Amazon to choose from. Here is a large selection of Birthday Gifts Cards from Amazon. 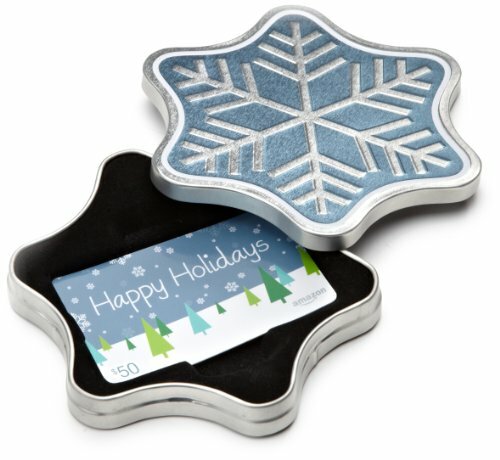 Presented correctly and to the right person, a Holiday or Birthday gift card is a great idea. Just make sure you know your audience before you take the plunge. And, for those out there giving me a gift, I love gift cards! Richard CummingsAmazon Gift Cards: Tacky or Terrific?